Although the Traveling Teacher Program is new to the ARS, the Viola da Gamba Society of America offers a similar program for viol players. We've asked some people who play both viol and recorder and who have participated, as viol players, in the VdGSA Circuit Rider Program for thoughts and suggestions which might be helpful for a group which is considering an application to the Traveling Teacher Program. Here's what they offered as encouragement. Susanne Ferguson served on the ARS Board of Directors from 1980 - 1988, and has since served as President of the VdGSA. The clients organize what they want and need, and make their proposal. Whether they want consort coaching or private lessons or combinations thereof, they decide. That means that the participants all buy into the scheme -- they pledge to do their part and pay their share. And, presumably, they practice for the sessions! The clients choose the teachers. In addition to the specified hours of teaching, the teacher has always given us "free" playing sessions in the evening after a group dinner. This opportunity for social interaction has enhanced the cohesion of the group as well as the relationship of the group to the teacher. A suggestion I have is that if there is a fairly big chapter, the instigators open the participation but limit the numbers -- if there are more people who want to participate than can be accommodated in the first group, a second group can be formed, maybe with the same teacher staying a longer time. Preformed consorts should have priority if they want to participate. (We have found that although often individuals play well, the GROUP needs help getting better ensemble.) This is not something for hordes of people: and probably hordes won't make the commitment. It's for people who REALLY want to get better. 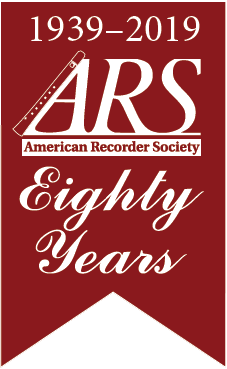 Sue Groskreutz is currently a Contributing Editor for Book and Music Reviews for American Recorder magazine. There were more gambists in my part of Florida than there were recorderists. Suzanne Ferguson taught gamba to a group of college students I couldn't beat them, so I joined them. We used John Mark Rozendaal's Dojo books: a lot of playing on open strings. Next thing I knew, I was playing in a weekly group, thrown from playing open strings straight into Jenkins and Lawes. Even though I have played violin professionally most of my life, a gamba bow behaves quite differently. I developed a whole list of bad bowing habits. We had our first Circuit Rider "intervention" with Gail Ann Schroeder. During private lessons, over two years she worked exclusively on bowing -- seems I was not the only one with bad habits. After her visits the first year, I actually started to sound like a gambist; our group rose a level in its sound. Our next Circuit Rider was Mary Springfels. One of her conditions was that we present a concert at the end of her year. This was motivating for all of us, and it went quite well. Mary worked us on articulation and dynamics, not only how to get a gorgeous pianissimo, but when to do so. The third year, Mary Springfels came twice; Joanna Blendulf came the other two times, and continues with us this year. I really started to feel like an accomplished gambist. Our group became much better listeners, and we stayed together without the need of anyone reading a score. It is fairly easy to learn the basics of recorder on one's own, as I did. During my first workshop, I was told that my thumb was not working correctly and was slowing me down dramatically. With real, serious, and experienced teachers visiting parts of the country that have no teachers, more players would learn to not just play, but to play with good technique -- beautifully, using dynamics, articulations, phrasing, and the list goes on. Imagine what this could do for recorder players! Liz and Neil Seely, ARS members in Rochester, NY, offer the following thoughts from their viol consort. We think the area needs to have at least 6 participants to make a visit viable. We?ve found that having lessons and housing in the same location is beneficial. Decision as to break-down of time--lessons, small-ensemble coaching, larger "workshop"-type session, other? Our weekends were a combination of private lessons for each person, a group session for all 8 participants, plus one session for our consort of four. Later we found that the 8-part music was not so satisfying for viols and we broke that session into smaller consorts. Each lesson was one hour and the group sessions were an hour and a half. We were the first group to have a circuit rider (before the program had been officially approved and had a name), so the first year was a trial balloon. We didn't have eight people then (only 6), and we sponsored a session for people who wanted to try out the gamba. Mainly they came from our ARS chapter. There were six and they met twice for an hour, I believe, on two successive days, and after that short time, they could play a little six-part piece together. Sarah Mead did a wonderful job! One of those people stuck with viol, and she's an active participant in our group now. As for the group decision for instructional leadership, it would be helpful if someone had had prior experience with a particular teacher, at a workshop, for example. Having private lessons is a huge motivator, even if it's only four times a year. They provide an incentive to practice. And it's not just mindless practice, but practice with a purpose and with a goal in mind -- the next lesson as well as the desire to make beautiful sounds, that is, music. As you practice, questions can come to mind. Answers can be explored by you and the traveling teacher. The teacher gets to know you, discovers how you learn. You are improving technique, building on the skills you had through lessons repeated over a longer time frame (as opposed to a short-term workshop). For an ensemble, having a coached lesson means not just comments from local friends but rather from a professional outsider. (Also, If the ensemble has a problem that is too touchy to deal with on our own, for example, ensemble etiquette or intonation, . . . , an outsider can more easily effect a resolution.) It means the opportunity to gain insight into matters of ensemble, interpretation, and all the other aspects involved in music-making in a group. There are also social benefits. Working together with someone from the outside helps the group to share equally when practicing without the coach. A certain camaraderie develops, particularly if the group also shares a meal together occasionally.